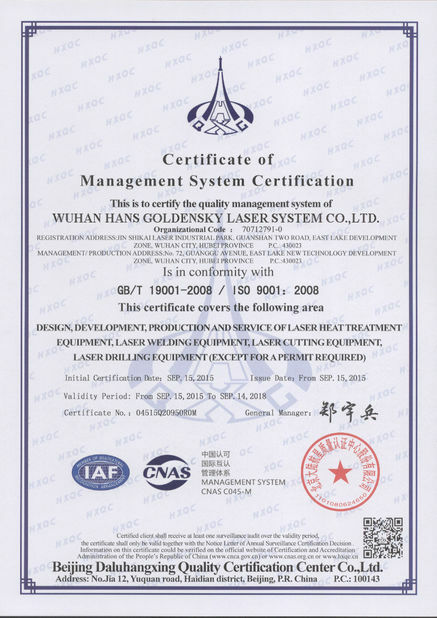 We are subsidiary company of Han's Laser, one of the four biggest manufacturing bases of Han's Laser. Company has core technology of laser source, produced China's first practical 10000W and 20000W laser source, and up to 50000W. 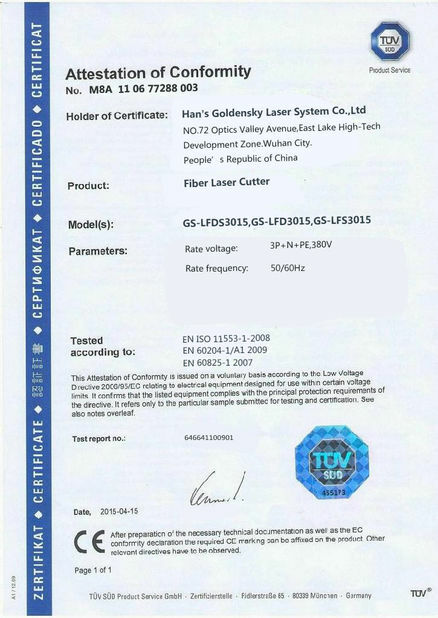 Company successfully developed China's first 10000W TEA and China's first integrated 10000W laser source in 2007, in the leading position of high-power and super high power laser industry. We also own Optical communication core technologies----Precision optical thin film with international level. 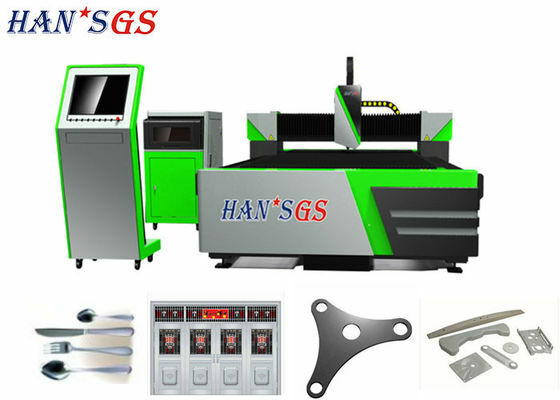 Han's GS series CNC fiber laser cutting machine adopted with gantry-type machine tool, aluminum alloy be--am, high precision gear rack, linear guide grinding drive system, German professional laser cutting CNC system, is a high-tech product integrated with advanced technologies of laser technology, mechanical technology, numerical control technology, etc. GS-LFD3015 double drive fiber laser cutting machine is high technology product integrated of laser cutting, precision mechanism, digital control technical, adopting with big power laser source with international advanced technology. The whole product is sensational designed with excellent flexibility and performance, with international famous brand of key parts including key electric parts, service motor, control system and others. The product has characteristic of high combination, more precision and stable running performance. It's widely used in cutting and shaping industry for carbon steel, stainless steel and aluminum alloy, and regarded as best choice for metal cutting with high speed, high precision, high efficiency and high cost effective features. 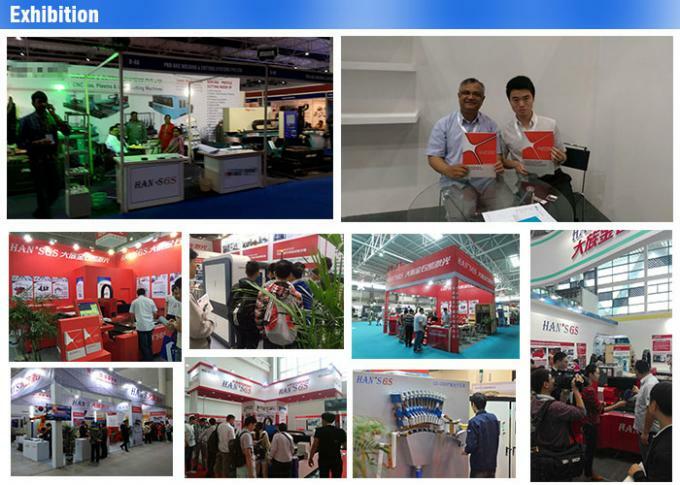 Metal processing, sheet metal industry, automobile industry, military industry, aerospace, pressure vessel manufacturing, metallurgy, steel rolling, oil pipe, machinery manufacturing, household appliances industry, advertising industry, lighting industry, etc.